Located at the corner of Aha Macav Parkway and Aztec Rd. Located just west across the Colorado River from Fort Mojave, AZ. Must check in at security podium in casino. No stay limit. 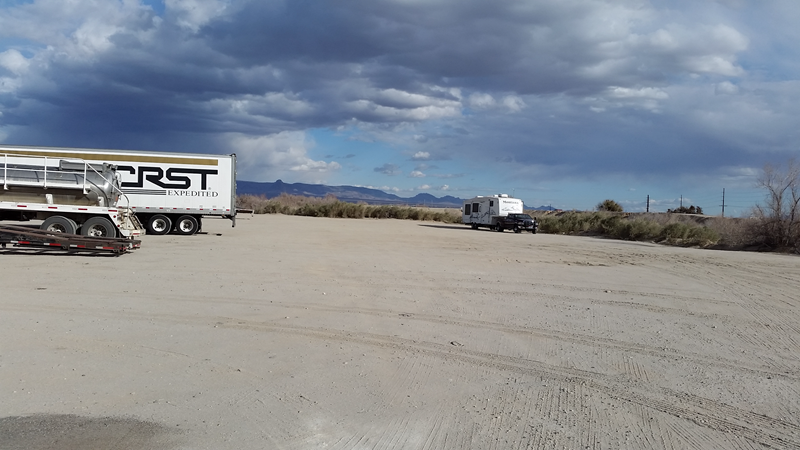 There are 2 flat, dirt parking areas for overnight RV's. A smaller lot (used by semi-trucks) is on the south side of the casino. 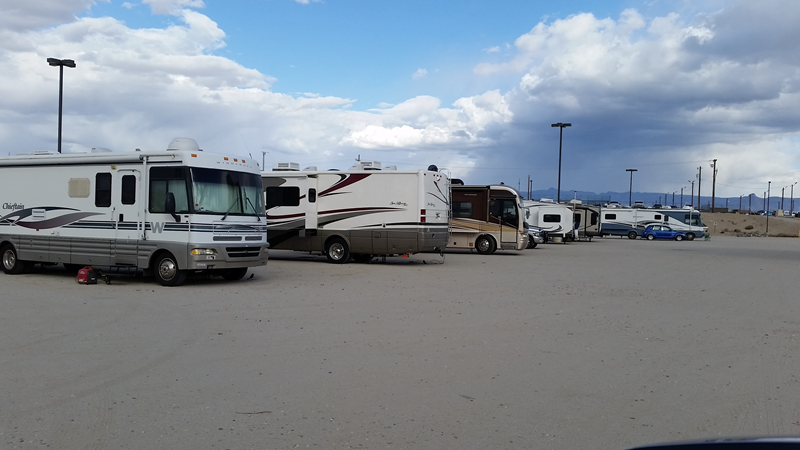 A large flat open lot just for RV's is on the n0rth-west corner of the casino. There's also free dry-camping south of the casino along the Colorado River. The RV Park is a KOA operated by the casino. Wi-Fi & cable, laundry, showers, a picnic area, barbecue pits, and a grassy dog-run area. RV sites are all located on dirt and are close together. No tents allowed - only self-contained RV's. 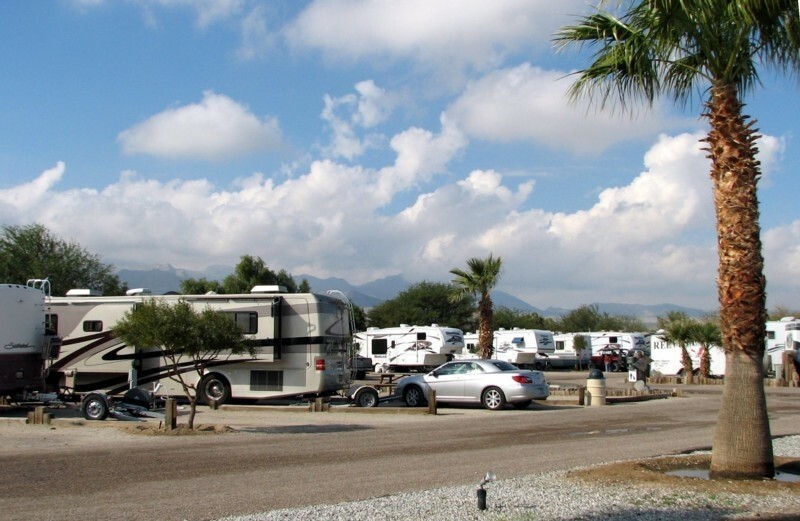 RV Park guests are allowed to use the pool, beach, boat launch, and fitness center at the casino. Full hook-ups with 50A electric. I pulled in after dark. 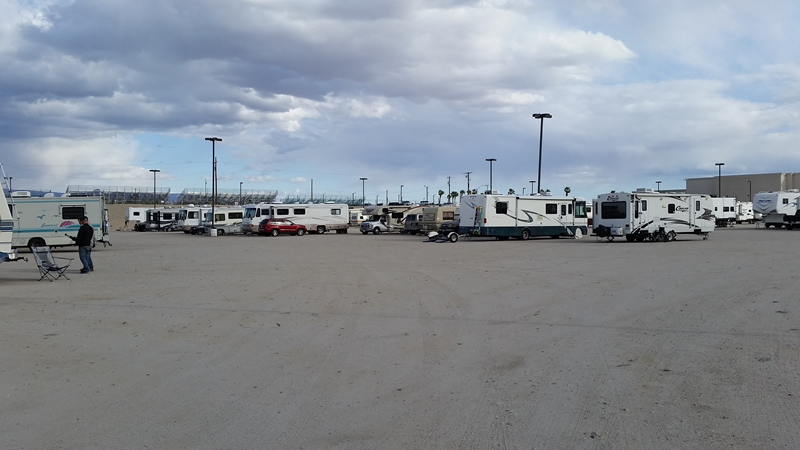 I used Google earth to find the lot with the RV's as there is parking all around the Casino. The North West side had a large dirt lot. Very well lighted. There were dozens of RV's parked. I only stayed one night and moved on. It was fairly quiet and I felt very secure. Make sure your Advantage card is updated 1st. Then proceed to the Security Platform in the Casino,fill out their form, bring it back to Security. walks out to your rig & does an inspection also asking to see registration and insurance. Play 4 hours in the Poker Room Have played $30 in Keno tickets. To earn play minimum levels members must use their Advantage Club Card during play. BTW your card # is listed on your windshield pass. On the other hand the KOA RV park had the MOST SLOWEST speeds I ever seen anywhere ! 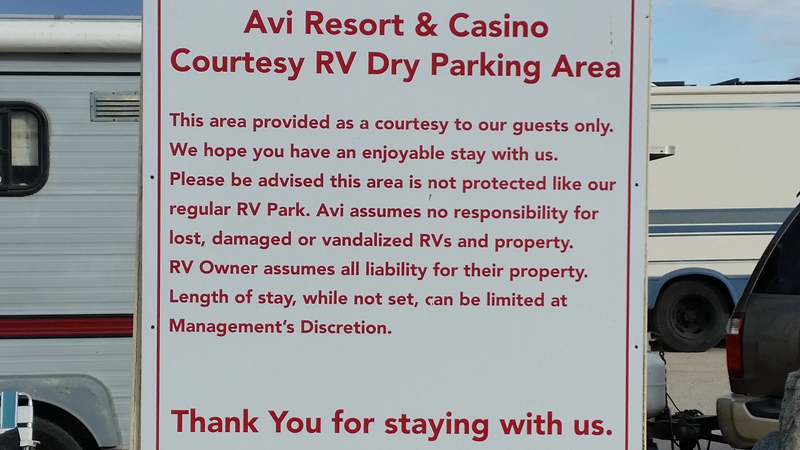 RV park is a KOA. Dry camping is a flat dirt lot next to the hotel, walk through a hotel wing to get to the casino. Friday seafood buffet was fantastic, crab legs, clams, shrimp, oysters, etc. Carving station for thr non-seafood folks. Saturday is fantastic prime rib, 2 for 1 from 3:30 to 6:00.